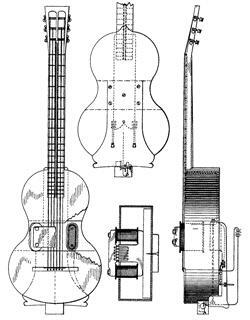 Patent applications for new instruments—or for improvements to already existing ones—usually involve one or more technical drawings. These can be of historical interest for several reasons; for example, the article Piano wars: The legal machinations of London pianoforte makers, 1795–1806 by George S. Bozarth and Margaret Debenham (RMA research chronicle XLII, 45–108) makes use of original drawings and descriptions for patents by William Southwell (1794) and his son, William junior (1837), to reconstruct the issues and outcomes of legal actions involving many of England’s top piano manufacturers in the early nineteenth century. 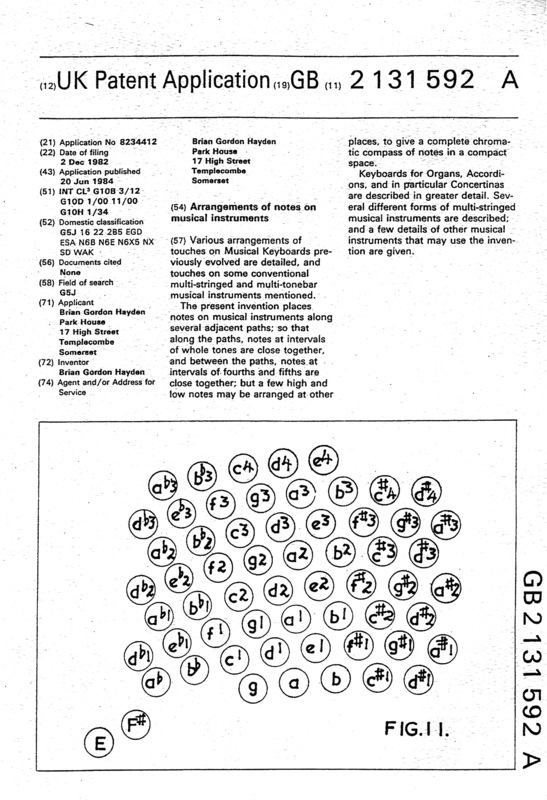 Reproduced above is a page from Brian Hayden’s 1984 patent application for a new way of arranging the buttons on a concertina.